A novel porous coordination polymer adsorbent (BTCA-P-Cu-CP) based on a piperazine(P) as a ligand and 1,2,4,5-benzenetetracarboxylic acid (BTCA) as a linker was synthesized and magnetized to form magnetic porous coordination polymer (BTCA-P-Cu-MCP). Fourier transform infrared (FTIR), X-ray diffraction (XRD), vibrating sample magnetometer (VSM), field emission scanning electron microscope(FESEM), energy-dispersive X-ray spectroscopy(EDS), CHN, and Brunauer–Emmett–Teller(BET) analysis were used to characterize the synthesized adsorbent. BTCA-P-Cu-MCP was used for removal and preconcentration of Pb(II) ions from environmental water samples prior to flame atomic absorption spectrometry(FAAS) analysis. The maximum adsorption capacity of BTCA-P-Cu-MCP was 582 mg g−1. Adsorption isotherm, kinetic, and thermodynamic parameters were investigated for Pb(II) ions adsorption. Magnetic solid phase extraction (MSPE) method was used for preconcentration of Pb(II) ions and the parameters influencing the preconcentration process have been examined. The linearity range of proposed method was 0.1–100 μg L−1 with a preconcentration factor of 100. The limits of detection and limits of quantification for lead were 0.03 μg L−1 and 0.11 μg L−1, respectively. The intra-day (n = 7) and inter-day (n = 3) relative standard deviations (RSDs) were 1.54 and 3.43% respectively. The recoveries from 94.75 ± 4 to 100.93 ± 1.9% were obtained for rapid extraction of trace levels of Pb(II) ions in different water samples. The results showed that the BTCA-P-Cu-MCP was steady and effective adsorbent for the decontamination and preconcentration of lead ions from the aqueous environment. The authors appreciate Dr. Hamid Rashid Nodeh, University of Tehran, Tehran, Iran, for his valuable contribution in revised manuscript. 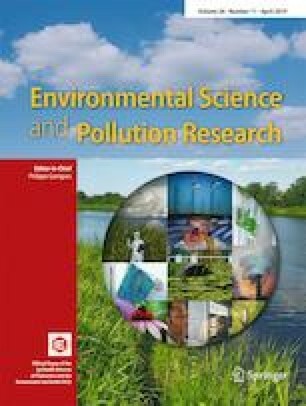 The authors would like to thank the University of Malaya for the financial support through the IPPP grant (PG292-2016A, RP020A-16SUS and RG381-17AFR).